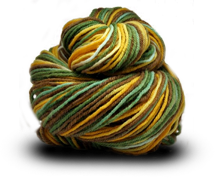 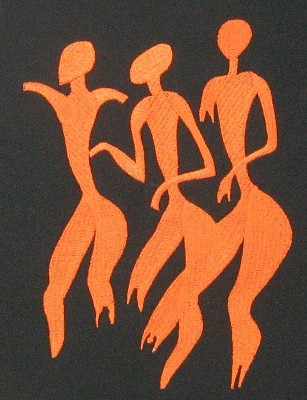 Kim's "Three Graces" concept was originally designed for hand screenprinted fabric. 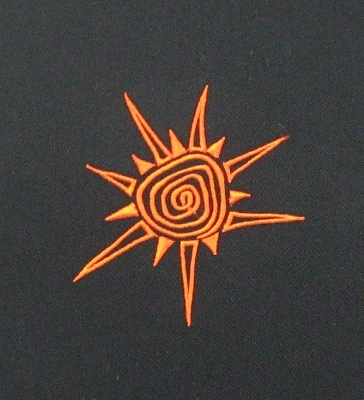 As this fabric was produced in extremely limited edition, Kim decided to have the design, or parts thereof, digitised for embroidery. 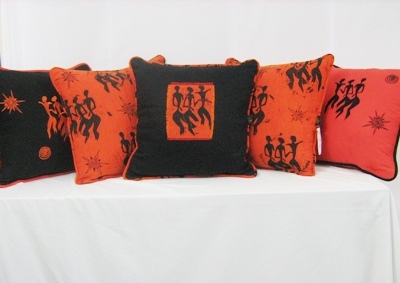 These embroidered cushions co-ordinate beautifully with the rest of the "Three Graces" collection, as well as making a bold statement on their own. 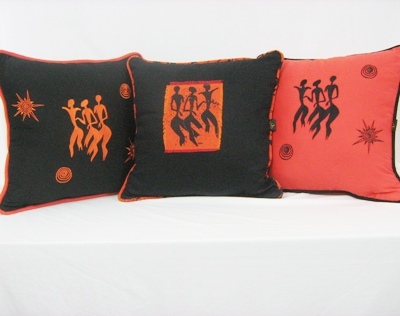 These embroidered cushions can be custom-made in fabric & embroidery colours to suit you. 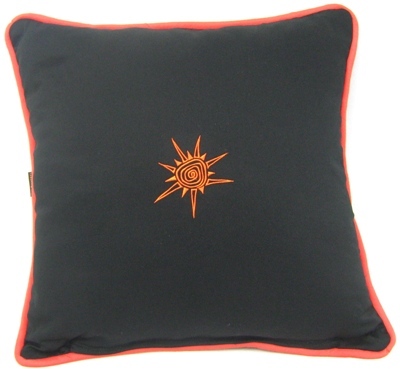 This cushion is embroidered in orange thread on black 100% cotton fabric. 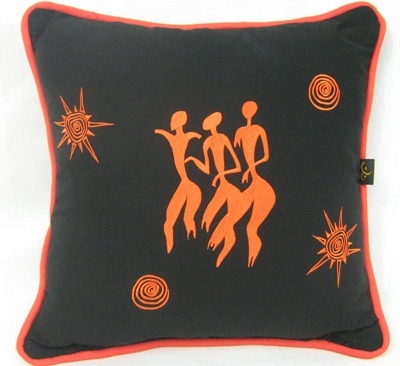 It is piped with co-ordinating orange cotton fabric. 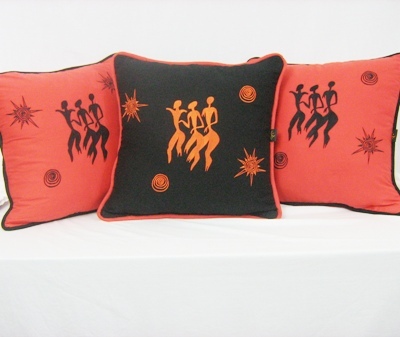 It has a zipper at the bottom for easy removal of the cover.